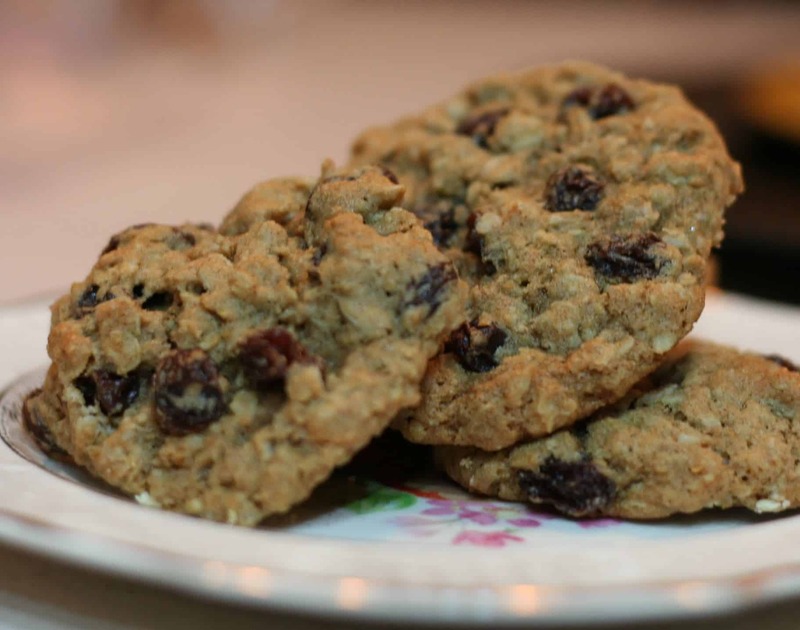 Home » Recipes » Baking » Cookies » Oatmeal Cookies: Load ’em Up! 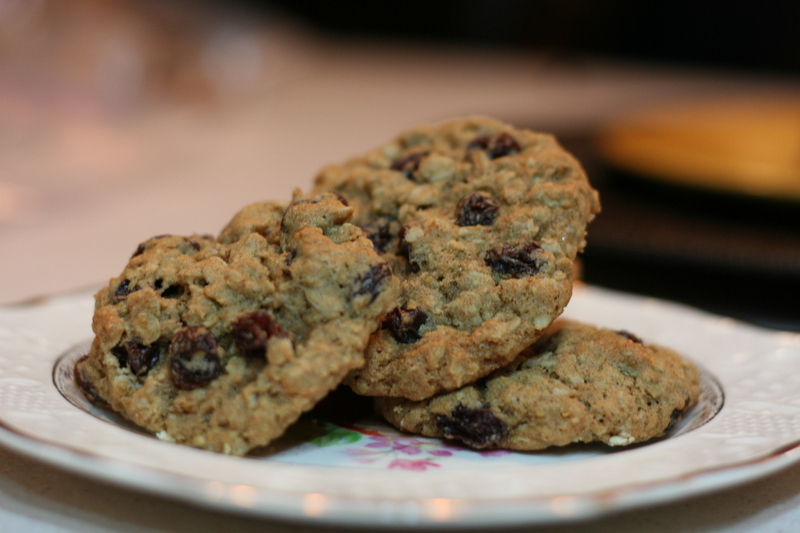 Oatmeal Cookies: Load ’em Up! 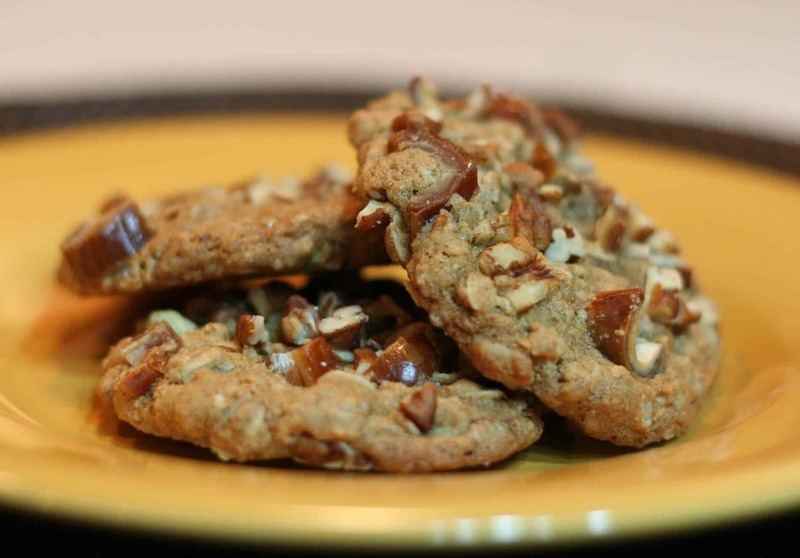 Pecan, Date Oatmeal Cookies: My personal favorite! 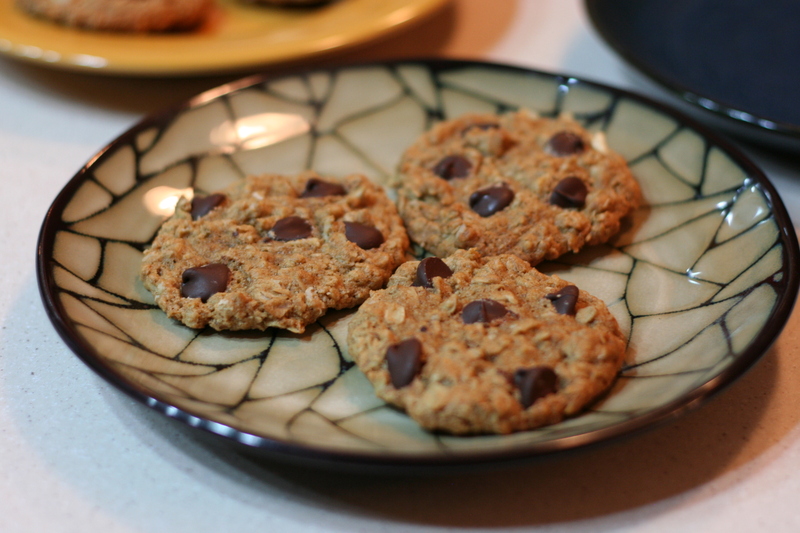 Oatmeal: some see breakfast food; I see hard to resist soft cookies delightfully textured with crunchy, chewy, chocolaty add-ins, ready for some serious milk dunking. Preparing to make oatmeal cookies for my daughter’s after school snack, I was inspired by all the possibilities as I strolled down the bulk bin section at Whole Foods. Pecans, white chocolate chunks, dried cranberries and blueberries, raisins, chocolate chips, dates, all called out to me with the lilt of a singsong auctioneer. We don’t use white flour much anymore, so this recipe includes King Arthur White Whole Wheat Flour, which produces superior results in delicate baked goods typically weighed-down, hard, or dry when using whole wheat flours. 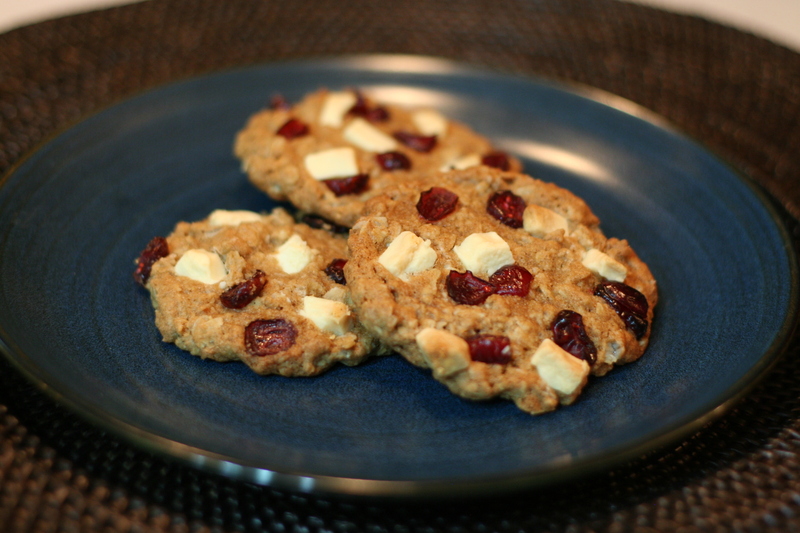 For the adventurous oatmeal cookie lovers out there, there are numerous ways to load these blond beauties; these are a few of my favorites. 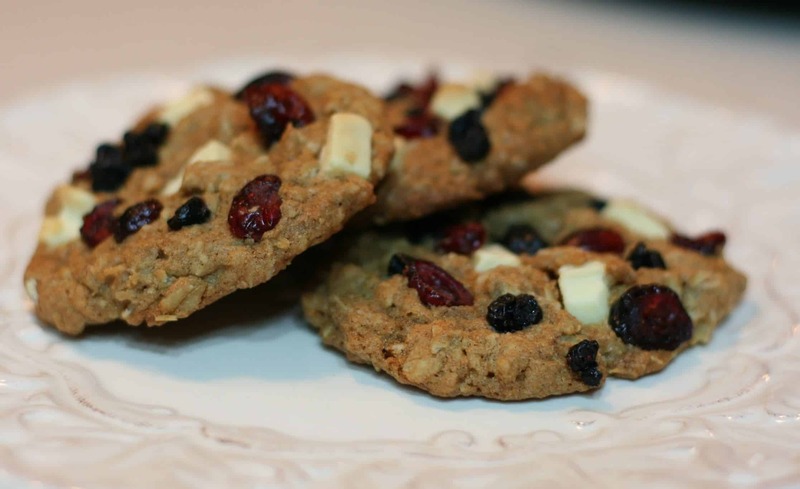 1 1/2 cups Add-ins — raisins, nuts, dried fruit, or chocolate chips, etc. Heat oven to 350°. Cream butter and sugars with a mixer. Add eggs and vanilla; mix well. 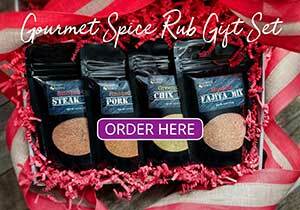 Combine flour, baking soda, salt, and cinnamon in a separate bowl. Add to butter mixture; blend well. Stir in oats and Add-ins. 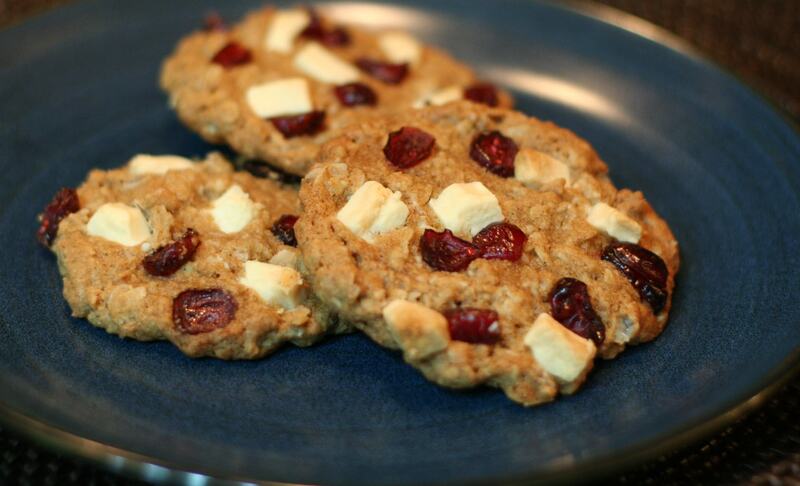 Drop by rounded teaspoons onto parchment lined cookie sheet. Bake 9-11 minutes, or until cookies are light golden brown. 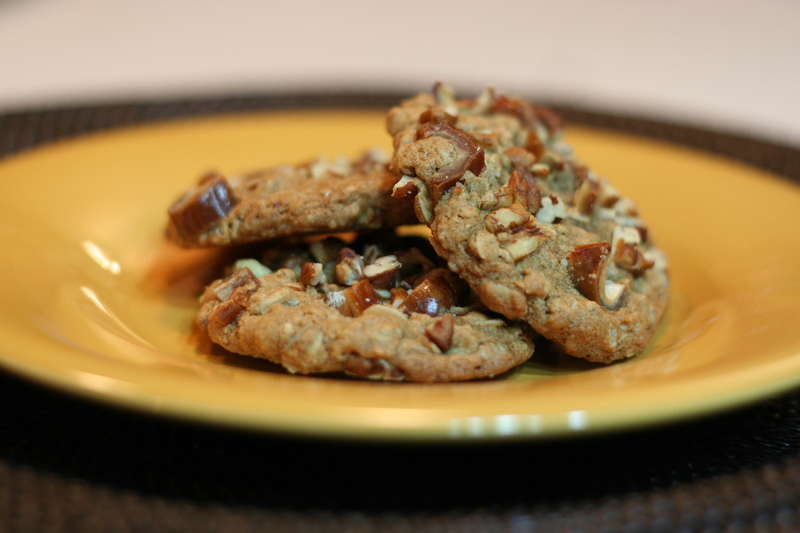 For crisp cookies bake 1-2 minutes more. Cool on wire racks. NOTES : For High Altitude: Add 1/4 cup more flour; bake as directed. 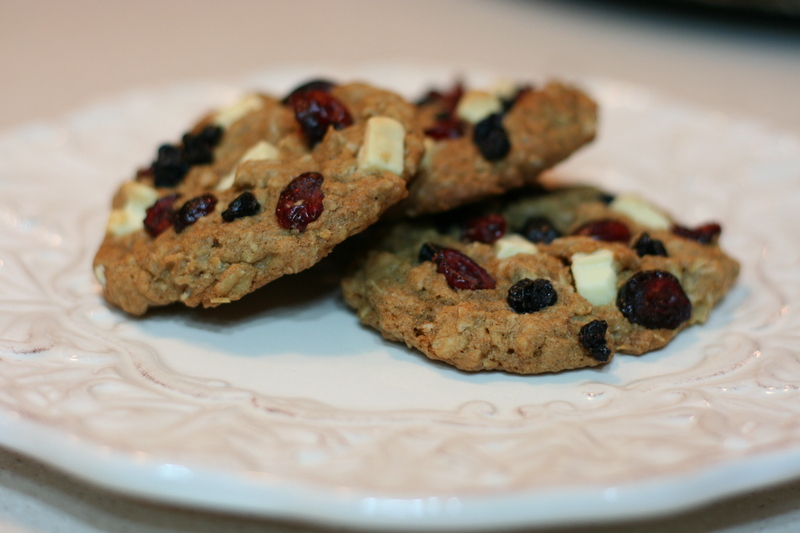 Cranberry, Blueberry, White Chocolate Chunk Oatmeal Cookies: Great for 4th of July! 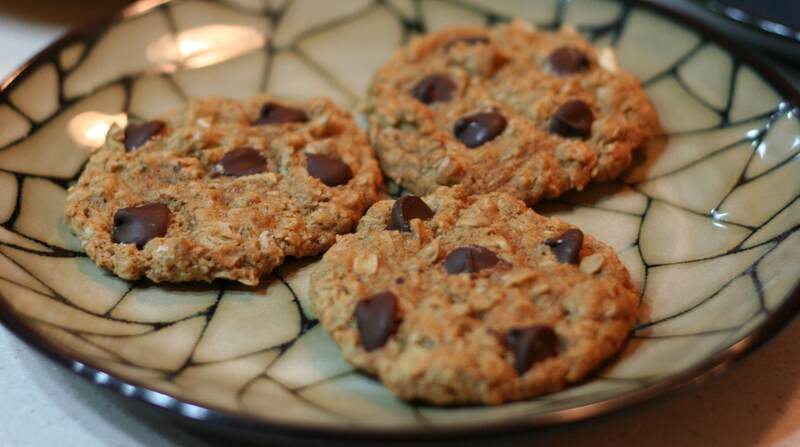 Chocolate Chip Oatmeal Cookies: Served warm, the chocolate is velvety.